Fry, sear and brown quickly and evenly. Prepare the ultimate juicy steaks and tender fish with the versatile AEG Gourmet Collection Frying Pan that consistently reduces moisture while frying for crisp results. The special multi-layer material optimised for AEG induction hobs ensure heat is spread evenly across the entire cookware surface. Our professional accessories are developed to complement your cooking and produce a variety of perfect dishes. Premium design and performance optimised to enhance your cooking. The AEG Gourmet Collection integrates perfectly with any AEG cooktop and induction hobs. 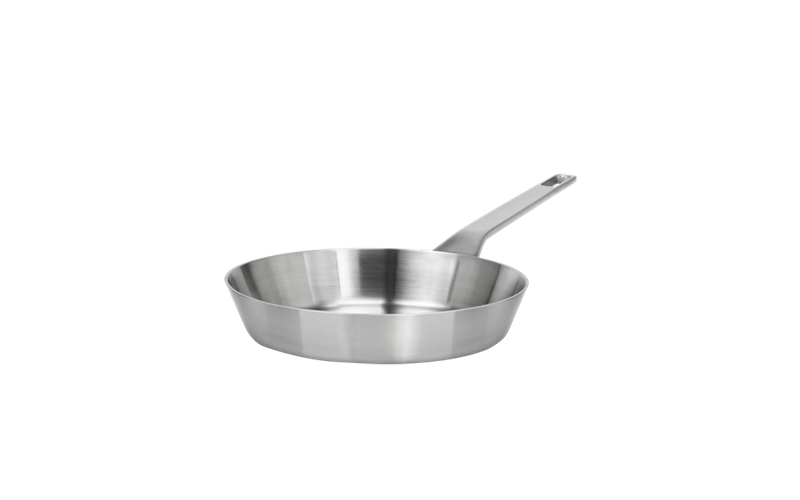 The AEG Gourmet Collection cookware can be used in an oven up to 250 degrees celcius.